When it comes to fall protection the carabiners and hardware you choose is extremely important. When your life's on the line you want to know that the gear you are using is top quality. 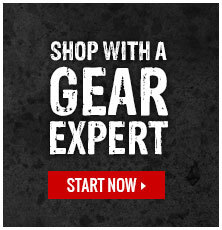 Our Gear Experts® have spent years sourcing the best hardware. From carabiners and connector packages to spreader bars, snap hooks, rebar hooks, and positioning assemblies our selection of carabiners and hardware have you covered no matter what job you’ve got coming. Our fall protection hardware selection includes separator bars, snap hooks, and rebar hooks.